In the nineteenth century the linguists W.H.I. Bleek and his sister-in-law, L.C. Lloyd, conducted interviews with |Xam individuals from the Upper Karoo and Bushmanland in the Northern Cape Province of South Africa. 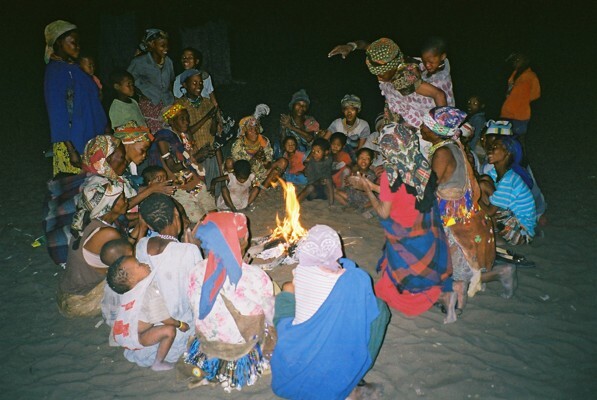 The |Xam, together with some other ethnic groups, formed part of the Southern San. 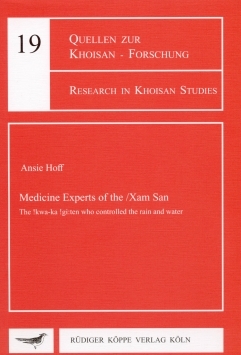 Two subjects repeatedly included in the data collected by the Bleeks were, firstly, the importance and characteristics attributed to water/rain which was often portrayed as a being, and, secondly, supernatural power which could be harnessed by |Xam ritual practitioners who had a connection with rain. In 1991 the author began research among descendants of the |Xam. The research area included the places from where the Bleeks’ informants came. The purpose of the research was threefold: to add to the data of |Xam views on water/rain and thereby increase the understanding of |Xam views in this regard, to explain the role of the specialists in connection with it, and to place, in broad outline, the data in the |Xam cosmological framework of a stratified universe. The author commenced her research among the |Xam descendants with enquiries about their symbols for water/rain. The first objective was to determine whether rain/water was and still is a subject frequently discussed by the |Xam descendants, and whether factors other than the obvious need of water for survival could account for the suggested importance of rain/water. Hoff found that rain/water was, and indeed still is, a prominent subject, which the |Xam descendants viewed as beneficial but potentially dangerous and which they symbolised in the attitudes and behaviour of a group of Water Animals, which formed part of a category of water things, connected with the underworld. The second topic of enquiry was about the persons (!khwa-ka !gi:ten) who caused rain to fall, their influence after death, the techniques used to cause the rain to fall, and reasons for unwillingness of them to cause rain. The fast-disappearing lifestyles of foragers is a general phenomenon and |Xam concepts of water/rain show continuity and change, but therefore they should not be seen merely as archaic survivals of |Xam cosmology, but as part of an ongoing and unfinished process.